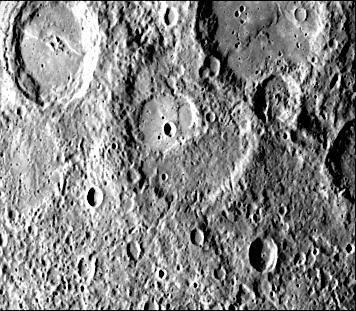 This picture shows several scarps, which appear to be confined to crater floors. 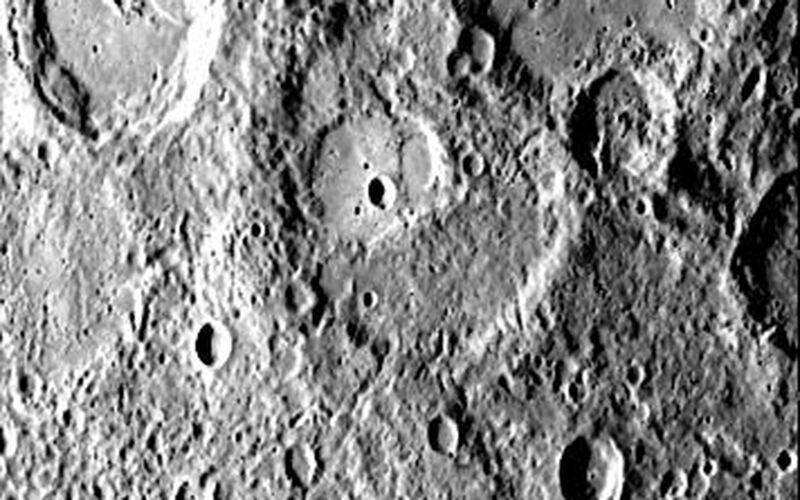 The scarp in the crater at the upper left of the image has been diverted by the central peaks, suggesting it may be a flow front. 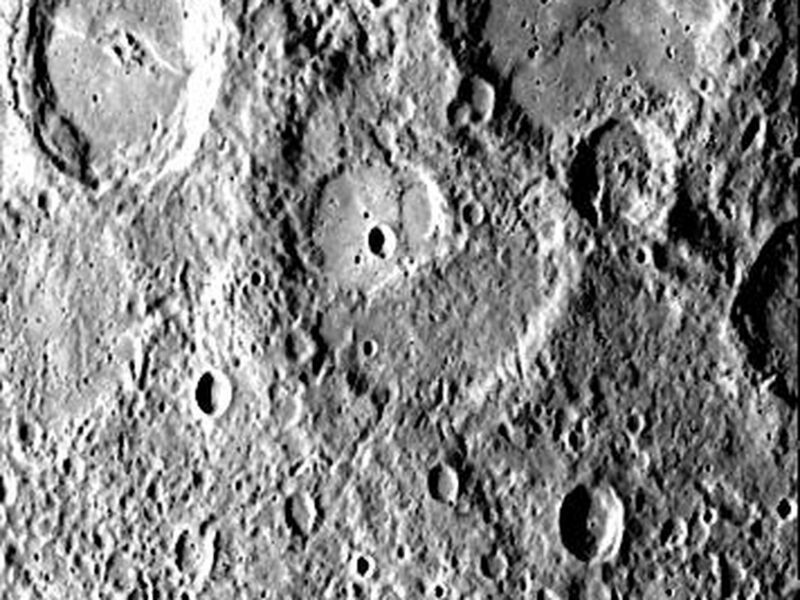 However, a dark line on the interior eastern wall appears to join the floor scarp, and if they are related, the scarp probably has a tectonic origin. 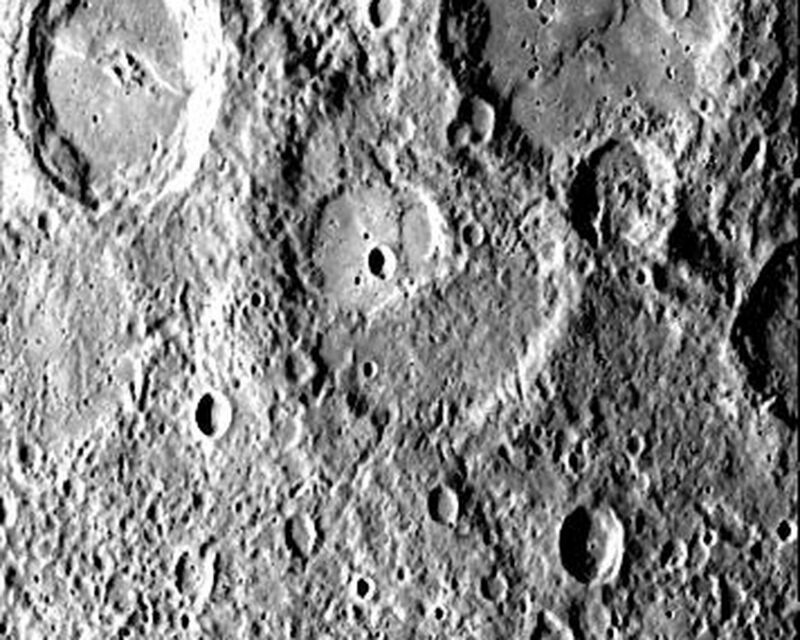 Two scarps occur on the floor of a 90-kilometer diameter crater at the top right of the image. The materials behind the uppermost scarp has a different texture than the rest of the floor and appears to mantle the other scarp. This image (FDS 27428) was acquired during the spacecraft's first encounter with Mercury.